With a visit to Taunton on the schedule for later this month, it seems an appropriate time to write about the Somerset ex-Woolworths stores that I’ve already visited. 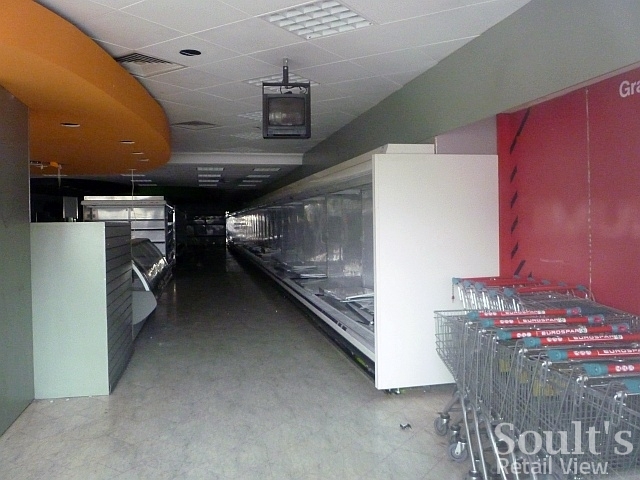 Back in August, I blogged about the stores that I’d checked out in North Somerset, including Weston-super-Mare (store #81), Clevedon (#992) and Nailsea (#1269) – a store that had only opened in October 2007, a year before Woolworths’ collapse. While they all have a good forty-year head start on Nailsea, the stores that I’m writing about today are also relative latecomers in Woolworths terms, opening during a busy period between 1952 and 1965 when Woolies’ store count grew by about 350 shops: a rate of about one every fortnight, on top of the 700+ stores that already existed by then. 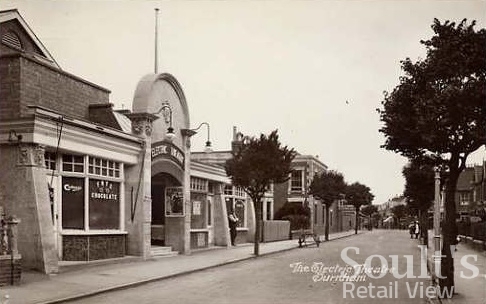 The first of those new stores, at 8-10 High Street in Burnham-on-Sea (#778), is one with an interesting history both before and after its time as Woolworths. From the store number, we can assume that Woolies opened there in about July 1952. The building, however, dated from the 1912 opening of the Electric Theatre cinema, whose premises Woolworths took over. The postcard view above probably dates from the middle of the 1910s, given that the cinema is built by then but the town is still referred to as ‘Burnham’ – the now-familar ‘-on-Sea’ suffix only became part of the town’s official name in 1917. The shape of the old cinema building’s buttresses is recognisable in a 1960 shot that shows part of the Woolworths store, but the retailer’s presence in Burnham seems to have been relatively shortlived. 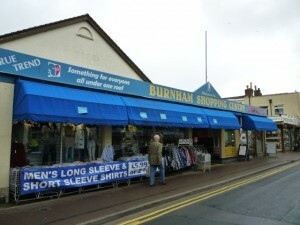 Though still open at the time of Woolies’ 1972 stores list, Burnham-on-Sea was gone by the 1995 one, suggesting a closure sometime in the late 1970s or 80s. Today, the building houses the slightly grandiosely named ‘Burnham Shopping Centre’ – more of an indoor market, really – but you can still appreciate the shape of the original cinema building, as well as one or two remaining details. Note, for example, the street-facing gable which is visible in both the 1915 postcard and my own photograph from nearly a century later. As you would expect, towns that Woolworths withdrew from thirty or forty years ago tended to be locations with relatively small catchments and that were already declining as retail destinations. Overall, however, I thought Burnham-on-Sea’s modern-day town centre seemed in reasonable shape – some of the buildings and shopfronts could do with smartening up, but there appeared to be a fair number of shoppers, few empty premises, and some nice independent shops. My second Somerset ex-Woolies, in Keynsham (#923), is another that had already vanished many years before Woolworths’ 2008 collapse. Again, I don’t yet have an opening date, though the store number suggests early 1956. There is, however, an address – 13-15 High Street, from both the 1957 and 1972 Woolies stores lists – and a closure date, of 21 January 1989, given on the 1995 list. 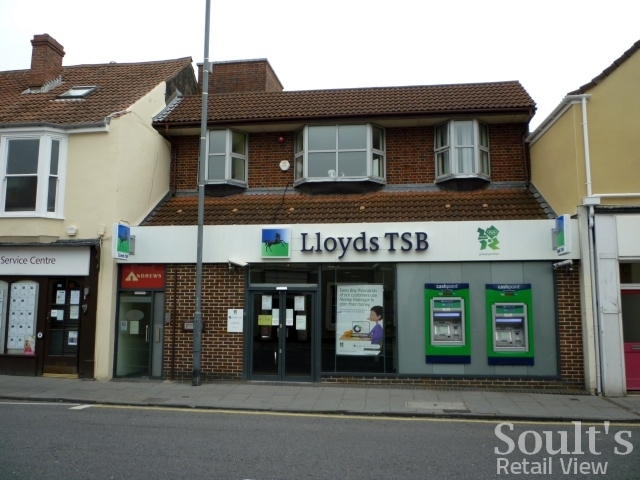 Today, slightly curiously, 13-15 High Street corresponds to the location of Keynsham’s Lloyds TSB branch, though the current building’s appearance could easily make it an early 1990s replacement for whatever premises Woolworths previously occupied. Though I haven’t yet found any old photographs showing Woolworths in situ, there is at least one view that shows the right location pre-Woolworths; it’s labelled as a 1950s photo, but looks rather older than that to me. Today, the centre of Keynsham town centre’s retail activity seems to be at the opposite end of the High Street, an area where Poundland has recently opened up in the former Somerfield and Eurospar premises. It’s a demonstration of Poundland’s growth and ambition as a modern-day variety retailer that it’s now opening up in smaller towns, like Keynsham, that even Woolworths had already abandoned many years ago. 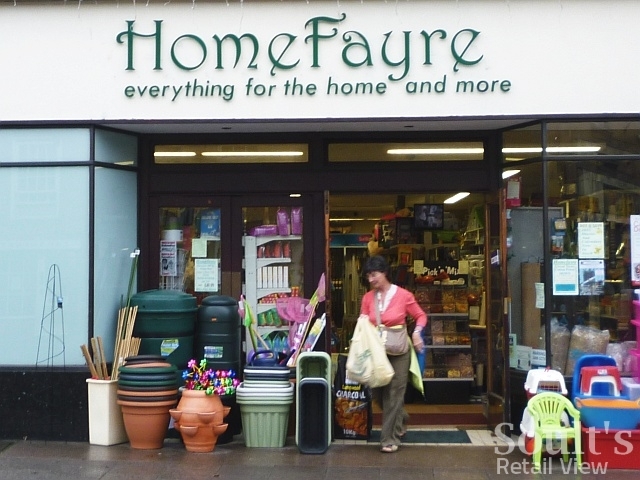 Just as Poundland is establishing itself as a successor to Woolworths in many locations, the lovely market town of Crewkerne has a local variant in the form of HomeFayre, a small South-West chain that specialises in categories such as hardware, soft furnishings, gardening and crafts. Opened at 22 Market Street on 1 November 1957, Woolworths in Crewkerne (#989) outlasted those in both Burnham and Keynsham by trading all the way through until the chain’s eventual collapse. 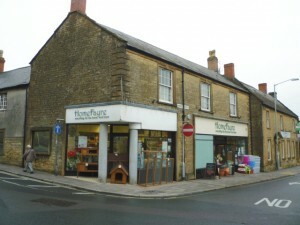 Happily, the premises were only empty for a few months before HomeFayre took over, and the new shop – providing an Aladdin’s cave of useful stuff – is just the type of footfall-driving store that a small town like Crewkerne needs. HomeFayre’s web presence, unfortunately, is less appealing. 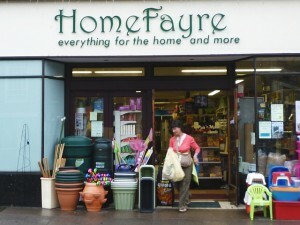 The absence of any mention of Crewkerne suggests that the site at homefayre.com may have been mothballed, but it really needs to be either refreshed or removed all together: the oddly aligned text and visible HTML convey a very amateurish impression that undermines the brand, and the overall look is one of the worst I’ve seen of any retail website. 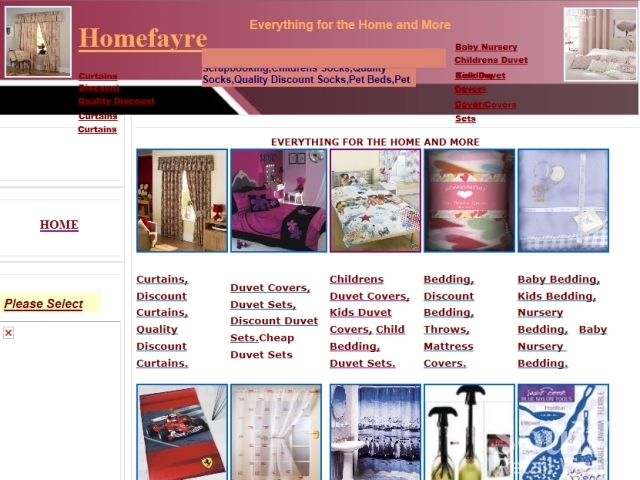 There’s great potential there to showcase all that’s good about HomeFayre, but the site surely needs to communicate a more reassuring and professional image – especially if shoppers are to be comfortable ordering from its online store. 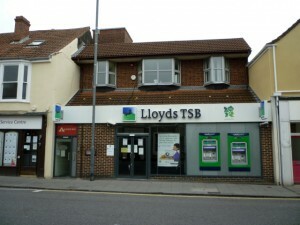 My final Somerset Woolworths store, for now, is the one at 16 Fore Street in Chard (#1106), which opened on 22 July 1965. 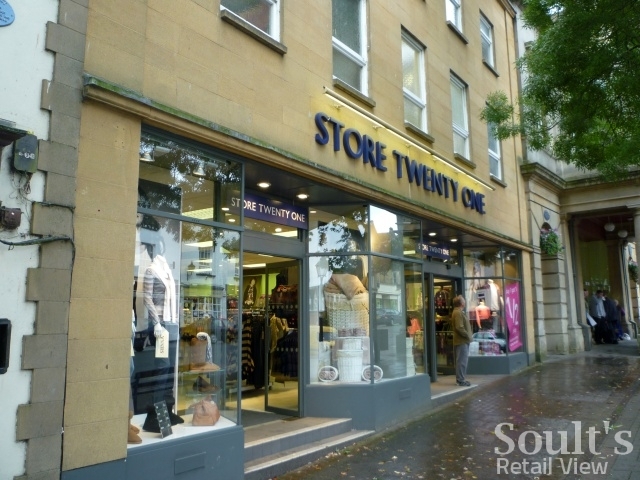 Like Crewkerne’s, it’s another store that lasted until the end, remaining empty for nearly a year before being taken over by the increasingly ubiquitous value fashion retailer Store Twenty One. As elsewhere, Store Twenty One has created a good-looking store, with a new shopfront and tasteful signage. Here in the North East, you’ll know from my previous blogs that Store Twenty One seems to be opening up everywhere: in our region, it has taken over more of the stores vacated by Woolies’ collapse than any other retailer apart from B&M, and has also opened in other locations such as Redcar and Alnwick. The Chard store, however, is a reminder that Store Twenty One’s growth is not just limited to one part of the country. While its brand may still be relatively unfamiliar, its impressive expansion – which, like Poundland’s, is giving a boost to smaller high streets across the country – is surely something to be celebrated. Hi Clare, as long as you include a link back to this page that’s fine!